Preventative dental care reduces the risk of developing oral disease, which can lead to serious issues for dogs. Establishing a daily routine of proper dental care may extend the life of your pet. 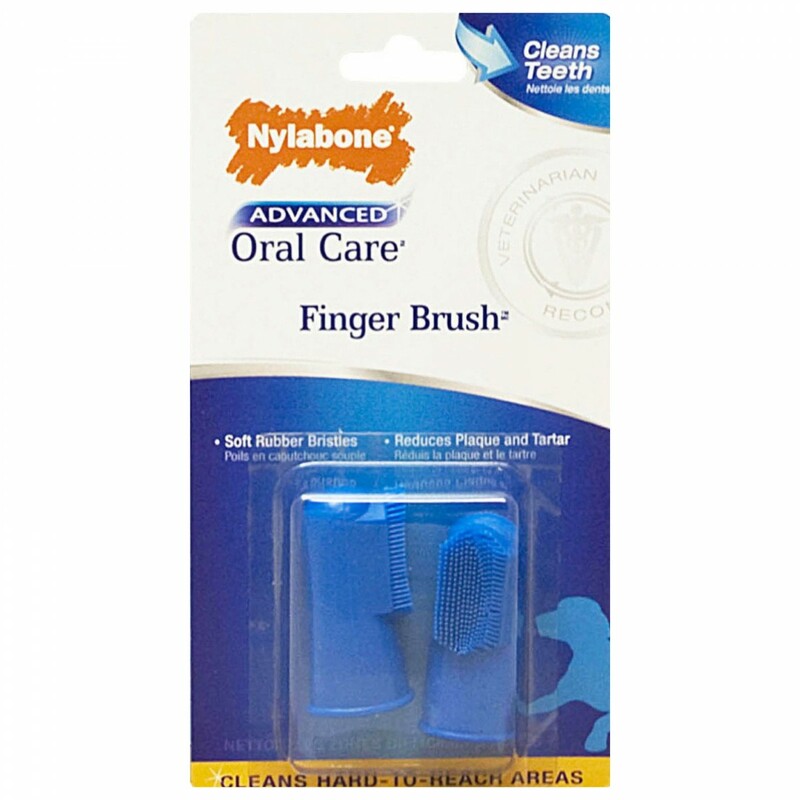 The veterinarian-recommended Nylabone Advanced Oral Care Finger Brush makes cleaning your dog's teeth easier. The brush slips onto your finger, so you can easily access hard-to-reach areas where plaque and tartar like to hide, and the soft rubber bristles gently reduce plaque and tartar buildup.